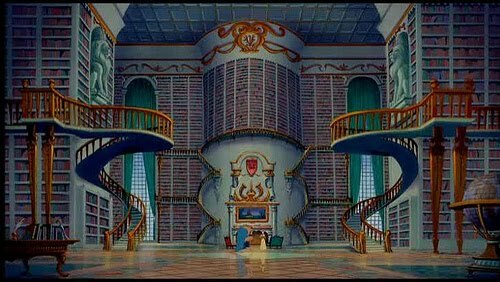 When I saw Beauty and the Beast as a kid, sure my little girly heart enjoyed the romance between Belle and the dangerous, furry, hair-trigger-tempered object of her misguided affections, but what I really loved was the library. My love affair with books has resulted in an unfortunate dilemma: I have too many. I've been going through boxes of my childhood books in my parents' garage, stacking Berenstain Bears and other rare gems to add to Ethan's library, and reminiscing over the young adult fiction (a motley mix of Sweet Valley High, Babysitters Club, and classics like My Side of the Mountain, Roll of Thunder, Hear My Cry, and Hatchet). And there are more than a couple terrifying Nixon-era children's books thrown in to boot. Unfortunately, we also have several boxes of unshelved books stashed under the house and in the attic. The book collection is quickly morphing into The Book Problem. It's occurred to me that a culling must begin, lest I become a hoarder. In other news, Noah and I have been watching 24 (in our continued quest to become the most egregious bandwagon missers in history). you're not a hoarder...you're a collector. that's what i had to tell myself when i was moving and realized i had 5 different copies of the taming of the shrew. and now i'm fascinated...thank you! "A promise of full access [to a ginormous library] would have led me to put up with Beast's crap, too." Probably the most amusing opinion I've ever heard for Belle's love for Beast. There's a similar issue in my house, though just this past summer I took a load over to the high school to add to their library, including some leather bound Louis L'Amours, which I handed over only reluctantly. Since I spent most of my childhood playing in the woods, I devoured My Side of The Mountain. I can't wait for my son to read that one. I have the same problem. I buy a book whenever I want to read it- it drives my husband nuts! But I just love owning books. I've recently been musing over 'bookcase styling' and found that when arranged in a pleasing way they are functional and artistic! annehyphenmarie—I'm a collector with a serious need for more than one room dedicated to my collection. Dawn—24 was that turn-of-the-century tv series starring Keifer Sutherland as a brilliant but affected government agent. Lt—I don't know how many times I've read My Side of the Mountain. Fantastic. KL—My hubs bought me a Barnes & Noble Nook for Mother's Day. It hasn't helped, though. Now I just have digital books as well as thousands of actual books. Adrienne—That's a fetishist's heroine, that book. Stephanie—Yes, well, the last time we sold some used books, we immediately bought Battlestar Gallactica with the money. A whole other kind of problem. Oh to have a library with a swinging ladder! I think my love of books and antique furniture (and France) all stem from that movie.